59. בֹּא רְאֵה, עוֹלָם עֶלְיוֹן וְעוֹלָם תַּחְתּוֹן בְּמִשְׁקָל אֶחָד נִשְׁקְלוּ. יִשְׂרָאֵל לְמַטָּה – מַלְאָכִים עֶלְיוֹנִים לְמַעְלָה. בַּמַּלְאָכִים הָעֶלְיוֹנִים כָּתוּב, (תהלים קד) עֹשֶׂה מַלְאָכָיו רוּחוֹת. (זֶה בְּמָקוֹם עֶלְיוֹן) בְּשָׁעָה שֶׁיּוֹרְדִים לְמַטָּה (אַף עַל גַּב שֶׁיּוֹרְדִים), מִתְלַבְּשִׁים בִּלְבוּשׁ הָעוֹלָם הַזֶּה. וְאִם לֹא יִתְלַבְּשׁוּ בִּלְבוּשׁ כְּמוֹ שֶׁל הָעוֹלָם הַזֶּה, לֹא יוּכְלוּ לַעֲמֹד בָּעוֹלָם הַזֶּה, וְהָעוֹלָם לֹא יִסְבֹּל אוֹתָם. וְאִם בְּמַלְאָכִים כָּךְ, הַתּוֹרָה שֶׁבָּרְאָה אוֹתָם וּבָרְאָה אֶת כָּל הָעוֹלָמוֹת וְעוֹמְדִים בִּגְלָלָהּ עַל אַחַת כַּמָּה וְכַמָּה, כֵּיוָן שֶׁיָּרְדָה לָעוֹלָם הַזֶּה, אִם לֹא תִתְלַבֵּשׁ בִּלְבוּשֵׁי הָעוֹלָם הַזֶּה, לֹא יוּכַל הָעוֹלָם לִסְבֹּל. 60. וְעַל זֶה סִפּוּר זֶה שֶׁל הַתּוֹרָה, לְבוּשׁ הַתּוֹרָה הוּא. מִי שֶׁחוֹשֵׁב שֶׁאוֹתוֹ לְבוּשׁ הִיא הַתּוֹרָה מַמָּשׁ וְלֹא דָּבָר אַחֵר – תִּפַּח רוּחוֹ, וְלֹא יִהְיֶה לוֹ חֵלֶק לָעוֹלָם הַבָּא. בִּגְלַל זֶה אָמַר דָּוִד, (שם קיט) גַּל עֵינַי וְאַבִּיטָה נִפְלָאוֹת מִתּוֹרָתֶךָ. מַה שֶּׁתַּחַת לְבוּשׁ הַתּוֹרָה. The world above and the world below are parallel to each other with the same weight. The Israelites below are parallel to the supernal angels above. Higher level individuals below represent higher spiritual levels above. When angels come down to this world they are ‘dressed’ with garments of this world. Without it, they cannot exist in this material world. The Torah is the foundation of the entire creation. The worlds and all angels exist because their roots is in the Torah, serving its purpose. If the Torah didn’t get dressed with stories that may seem simple, the world wouldn’t be able to handle its energy. The stories of the Torah are necessary to express the Light in it. 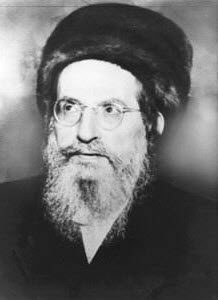 Rabbi Shimon says that those who say that the dress of the Torah is the actual Torah and there’s nothing more to it, lose his soul and won’t have a share in the world to come. King David was praying to have the wisdom to reveal the secrets under the garments of the Torah. The world of Malchut is basically an existence that is expressed in different patterns of energies. The basic building elements that science can define in nature is subatomic particles called quarks that form atoms, Atoms form molecules and so on. What we see as complex solid shapes are primarily particles in huge space. Scientists define six types of quarks and 12 Bosons (force carriers). The 13th one is mysterious and is called ‘Higgs boson’, also known as “God particle”. The numbers can tell the story of how God is in every single particle we can define in nature and beyond that. The forces that drive the particles and put them together into Atoms and different patterns of energy are the angels of God. Science dees the light as wavicles. They call it this way because it can be seen as wave and as stream of particles. A tree or any living creature may seem like a simple existence but under the simple story there is so much happening. The Holy Ari tells us that every word and even all kind of sounds create angels. Since each one of us have a soul that represents spiritual force, we can activate other spiritual forces at will. But we need to make sure to create positive angles that will serve and benefit us. Rabbi Shimon had great power of mind over matter and could control great angels. We cannot achieve his level in our times but we can definitely use the Zohar and his teaching to write a great story full of great angels of light that may not be seen on the outside but they are ours.